On the ground. 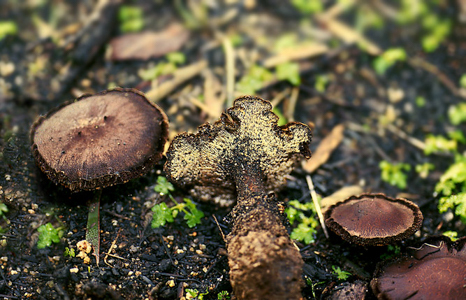 This showy, leathery species usually fruits within days of a fire. 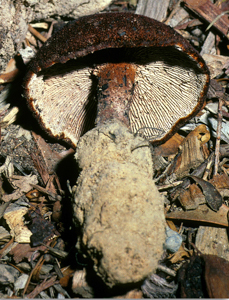 The cap is brown and velvety with a slightly depressed centre, and the stem is a similar colour and texture. Particularly distinctive are the toothed or broken edges of the creamy-brown, closely-spaced gills.